I enjoyed the writing of this author and the way she was so detailed and how she brought the beautiful and unique world together was done so brilliantly and well written. I actually felt I was living in this world and completely captivated by this fast paced and riveting story. I have always loved this genre and now because of this series I love it even more. I enjoyed this book as much as I did the first, and I’m going to be waiting for the next story in this series. Jennifer Wright has created an excellent saga that I enjoyed immensely. Morvea has all the elements of a splendid fantasy, dramatic action, poignant characters plus exceptionally sensual intimacy scenes. The story itself flows smoothly and continues to do so throughout the novel. I loved the world building Ms. Wright creates and found myself quickly drawn into the characters’ plights. There is plenty of action, suspense and surprise elements that kept this reader guessing as well as becoming enthralled with the story itself and I found myself reading the entire book without stopping from start to finish. Jennifer Wright has created a unique universe in this series. I for one am totally hooked. I highly recommend this series if you like big strong vampires and some super hot lovin’! 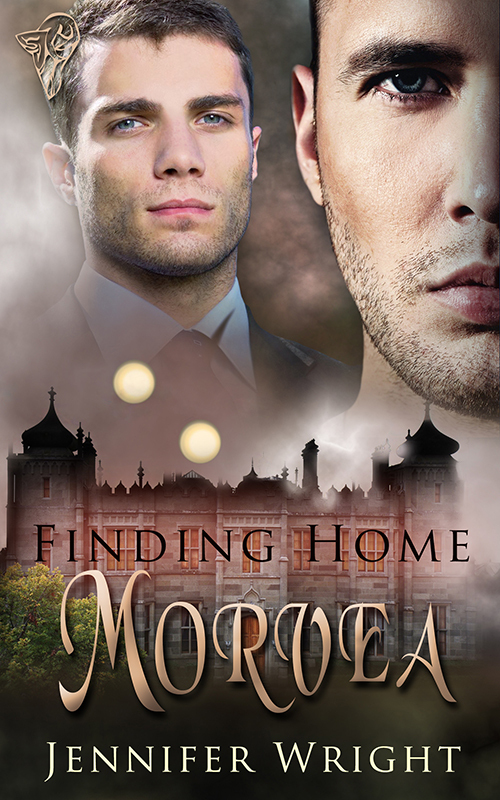 Morvea is part of the Finding Home series and it just keeps getting better. Wesley and Remus are present as are the others from the first book. Morvea moves the plot in a different direction and we must hope the search will continue for the head of the dragons. Eli turned out to have a few surprises up his sleeve, much to the dismay of Keddrick. It did make for exciting reading. Twists and turns, excitement and surprises, Morvea has it all. Don’t miss Morvea by Jennifer Wright, the second Finding Home story. The author has definitely written a very convincing and richly detailed story where witches, vampires, and dragons live in a world just a short jump away from Earth. Her characters are very convincing and are just as real as anyone you might meet on the street. Told in chronological order with some flashbacks, the plot flows beautifully from beginning to end with an attention to detail that shows a knowledge of her subject and reveals a writing style that is straightforward and concise. I really enjoyed reading this book and the MCs get a HEA ending despite all the misunderstandings and obstacles that stand in their way. I would definitely recommend this book to everyone.